What fun I had creating this mini valentine! It is the first one of your challenges that I've done. Looking forward to doing more. 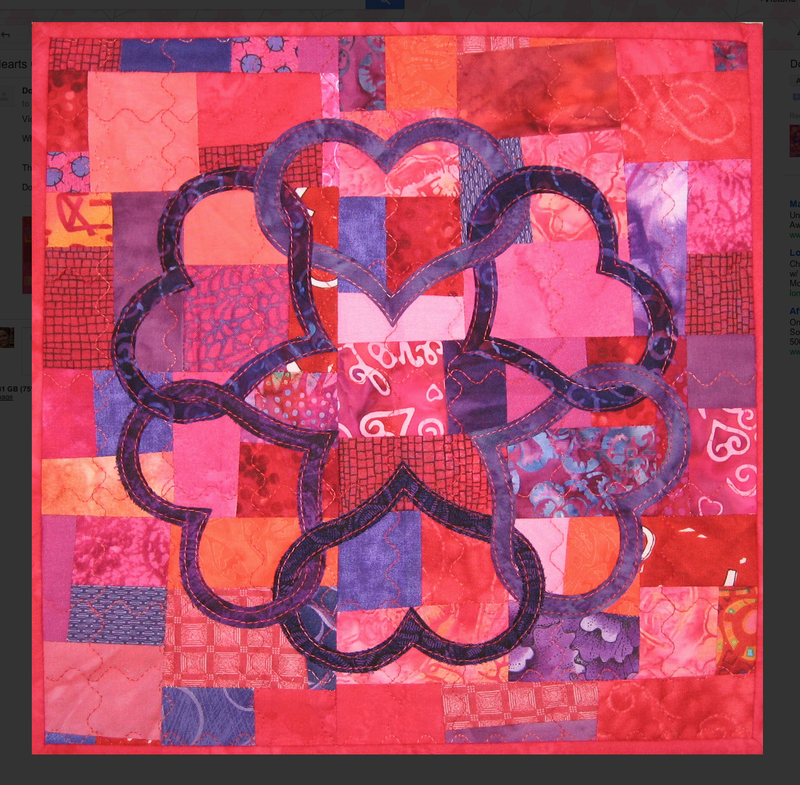 Love the purple interweaving hearts! Purple and reds witrh interlocking hearts - how wonderful. OMG! The heart's weaving in and out are amazing. Very pretty.